Who pays Land Use Charge in Lagos state? Find everything you need to know about Lagos state Land Use Charge, rates, who is expected to pay, property exempted and where to pay your charges. This is a question a lot of would-be property buyers or investors ask when they want to invest or buy plots of land in Lagos. To some, they think it is the seller otherwise as known as the landlord while others push the obligation to the tenant or buyer which is a conflict I will be answering based on what Lagos state Land Use Charge law states. But first, let’s do a review of what Land Use Charge is. Land Use Charge (LUC) is a consolidation of all the property and land based rates and charges payable under Lands Rate, Neighbourhood Improvement Charges, and Tenement Rates Law of Lagos State. The law backing the Land Use Charge is the Land Use Charge Law No. 11, of 2011. According to the law, the charges is designed to generate additional revenue for the government to finance the state as a response to increasing urbanisation. What is of most concern right now is the administration of the property tax including how fees are calculated and who pays Land Use Charges in Lagos state. Some tenants over the years have been exploited by their landlord by paying additional fees on their rent just to meet the obligations. 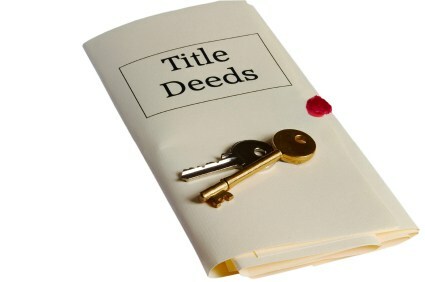 Under the liability session of the act, the owner is expected to pay the charge but in a situation where the landlord is not in possession of the asset, the switch is turned to the tenants for tax assessment who is then authorised to deduct the applicable fee from the rent payable to the owner of the property. How much is Land Use Charge in Lagos? This depends on the property category that is taxable – for commercial properties, it attracts 0.394% of the value. and industrial property attracts 0.132 %. This is only applicable where the landlord is the occupier of the property. The third category is residential which also depends on whether (1) the landlord is the sole occupier, (2) shared by tenants and owners or (3) fully occupied by tenants only. Assessment of charges will be 0.0394%, 0.132% and 0.394% respectively. Property owners are expected to enjoy 15% discount if payment is made within 15 days of delivery of the First Demand Notice. But if such notice has not been received, he is expected to report to the appropriate Lagos state government channel. What if you have paid your Tenement rate before the receipt of the Land Use Charge Bill? Property owners are expected to deduct the amount from the Land Use Charge and remit the outstanding balance. All proof of payment of the remaining balance of the Land Use Charge and Tenement rate should be sent to the appropriate office for onward processing and confirmation. But where the Land Use Bill comes before other rates, Tenement rate, neighbour improvement charges, the Land Use Charge should be settled as it covers these charges. For further inquiries on how to pay your on property tax, you can visit Land Use Charge office at Block 12, Ministry of Finance, Alausa, Ikeja, LGA, Lagos State. So when next you find someone asking, who pays Land Use Charge in Lagos state, this article should help you explain everything you have learnt about the charges, how much you should be paid, and where you should pay the rate.